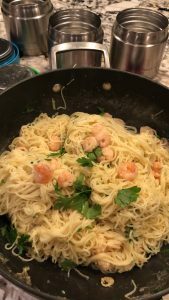 The store by my house had medium peeled shrimp on sale for $3.99 lb..so I grabbed 5 lbs and wanted to make something with them for the kids lunch. 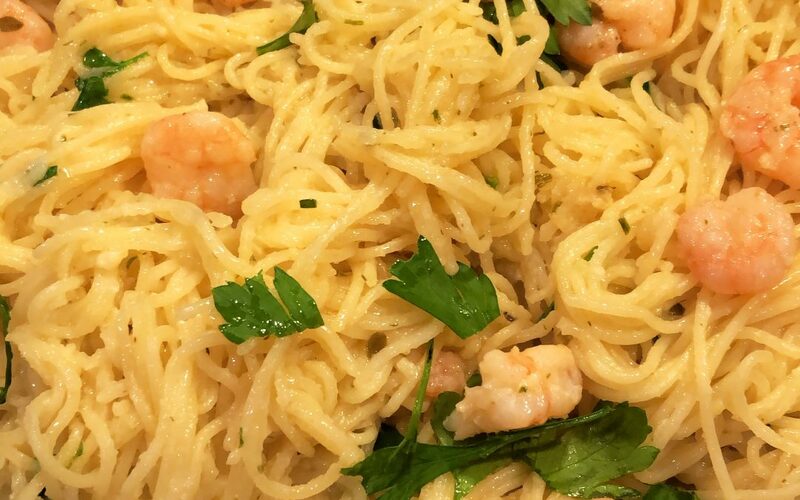 I haven’t made shrimp scampi pasta for them in such a long time…so I decided to make some for them for lunch today. This literally took me about 20 minutes to make!!! 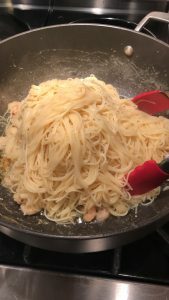 I cooked the pasta as I was cooking the shrimp ….once the pasta was done..I just toss the pasta right into the saute pan with the shrimp and just gave it a few extra toss and it was DONE!!! For the pasta, put a large pot of water on the stove to boil. When it has come to the boil, add a couple of tablespoons of salt and the linguine. Stir to make sure the pasta separates; cover. 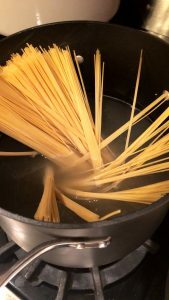 When the water returns to a boil, cook for about 6 to 8 minutes or until the pasta is not quite done. Drain the pasta. You should cook the pasta according to the directions on the package. 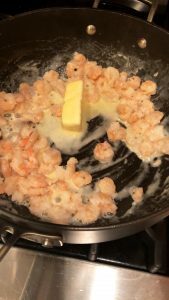 Meanwhile, in a large skillet, melt 4 tablespoons butter in 2 tablespoons olive oil over medium-high heat. 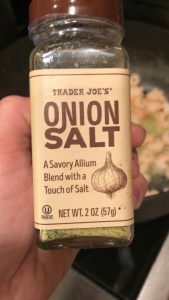 Saute the shallots, garlic, and red pepper flakes (if using) until the shallots are translucent, about 3 to 4 minutes. 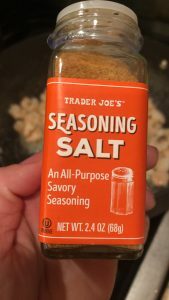 Season the shrimp with onion salt, seasoning salt and pepper; add them to the pan and cook until they have turned pink, about 2 to 3 minutes. 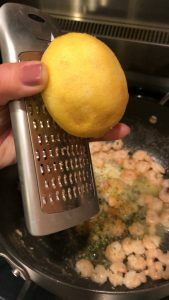 Add lemon juice and lemon zest. 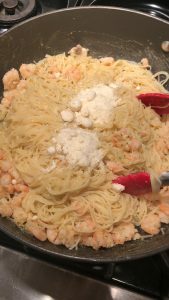 Next, add in the pasta and TOSS to combine …..then add 2 tablespoons butter and 2 tablespoons oil and the parmesan cheese. Garnish with chopped parsley. Drizzle over a bit more olive oil and serve immediately!! !